MCALLEN, Texas — Members of an American family that were driving to a funeral in Mexico spent 19 days being held captive by a Mexican drug cartel before authorities were able to rescue them. During the rescue, authorities killed one of the captors and arrested two others. The victims, a man and two women had left the border city of McAllen, Texas, on April 13 on their way to a funeral in the city Valles in the central state of San Luis Potosi, information released by the Tamaulipas government revealed. The family members had managed to drive past the Tamaulipas capital of Ciudad Victoria and were driving to the port city of Tampico when a group of cartel gunmen kidnapped them from the highway. The Tamaulipas government did not disclose the criminal organization, however, Breitbart Texas consulted with Mexican military sources who confirmed that the Gulf Cartel-Zetas linked faction known as Grupo Bravo was behind the kidnappings. As Breitbart Texas previously reported, for several months Grupo Bravo has been fighting with the Los Zetas Cartel faction known as Cartel Del Noreste for control of Ciudad Victoria. The fighting has resulted in a series of gruesome public executions that include beheadings, kidnappings as well as regular gun battles and kidnappings. 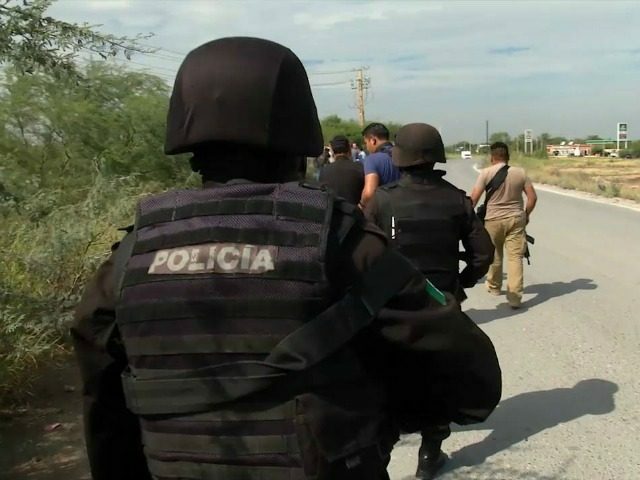 According to the Tamaulipas government, after the kidnapping federal, state and local forces worked to track down the victims. The rescue took place on Monday when members of the Fuerza Tamaulipas police force had been patrolling some rural roads in the community known as Zaragoza, when they found the kidnappers. During the ensuing firefight, authorities killed 45-year-old Edgar Ariel Gallegos who has been identified as the leader the kidnapping cell. Authorities also arrested 19-year-old Juan Gabriel Idrogo Perez and 27-year-old Rucina Guadalupe Cruz Gomes. Both suspects are believed to be tied to several other kidnappings and highway robberies. The U.S Department of State has an ongoing travel warning for Mexico where they warn that in the border state of Tamaulipas no highway is deemed safe due to the high likely-hood of kidnappings or highway robberies. Another key issue addressed in the travel warning deals with the non-existent capabilities of Mexican police forces. The travel warning also specifies that constant cartel violence can result if fierce gun battles anywhere and at anytime in Tamaulipas.